Through the course of creating my blog, I’ve come across some companies, products and people that I truly love and adore. Each of those listed below are people, places and things that I use on a regular basis that I feel you’ll love just as much as I do. I’ve tried and tested each one and feel that they’re companies that are making a difference in our kitchens or lives and align with the Whole Smiths’ philosophy. Please note that by using these affiliate links I will receive a referral credit from the company, it is no cost to you. Affiliate links and sponsored posts are what keeps the lights on around here and let’s me keep doing what I love, aka running this blog and creating recipes for you! While I am compensated for the work I do, my opinions and bad jokes are 100% my own. I sincerely appreciate your support and look forward to sharing more and more great products, places and recipes with you in the years to come. 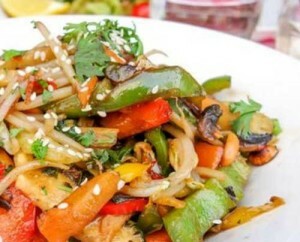 Sun Basket makes cooking wholesome and healthy meals super easy and convenient. 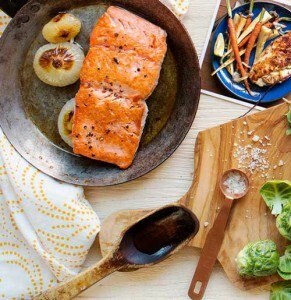 Fresh, organic ingredients and recipes are delivered to your door weekly. I love, love, love the convenience of SunBasket and the meals are always delicious and restaurant worthy. It takes all of the planning and grocery store trips out of the equation to ensure easy and convenient meal planning. Pretty much it’s no fail! Click here to sign up and save $30 off of your first order. 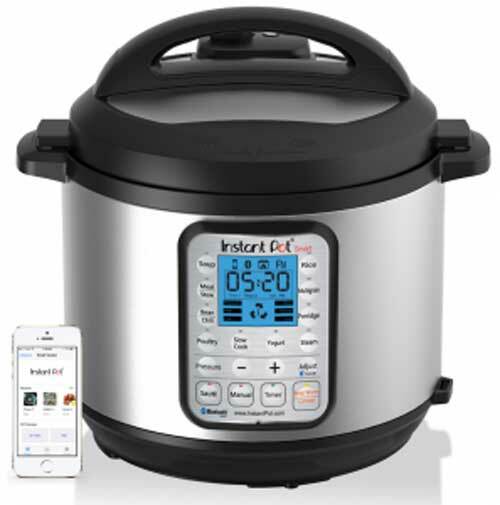 InstantPot is a programable pressure cooker that speeds up cooking while using 70% less energy than traditional methods. InstantPot makes it easy to create healthy and flavorful one-pot meals in a fraction of the time a slow cooker takes. I use it at least once a week and my kitchen and dinner table is a better place because of it. I promise you, it is magical! Click here to order your own InstantPot and get your newest obsession started. 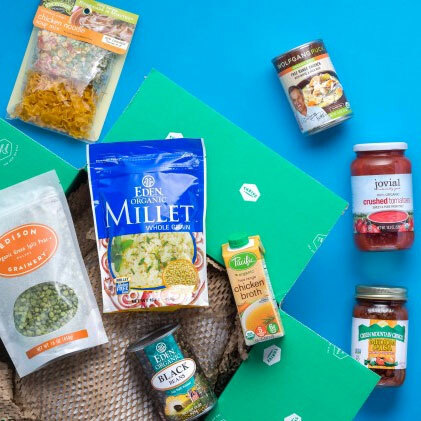 Thrive Market is a one-stop shop for all of your gluten-free, paleo ingredients. Many of my recipes include items you can’t find at “normal” grocery stores but Thrive Market has them all and then some. It’s almost like an online Costco membership for natural food products at wholesale prices. Score! You can try it out for 30 days at no cost to make sure you like it. For every member that signs up Thrive Market will also donate one membership to a family in need! To begin your free trial you can click here. Get Sauced is the first E-book from Kristen Boehmer of Living, Loving, Paleo. Get Sauced is loaded with 33 gluten and dairy-free recipes for one of my most favorites things… Sauces! You’ll get recipes ranging from ranch dressing, to marshmallow cream. It’s a must have for any dairy or gluten-free kitchen. Get your copy here. Link in Profile is a must have for bloggers or online shops that have grown or are growing a loyal Instagram following. Finally a way to convert your Insta followers directly to your page views or sales! 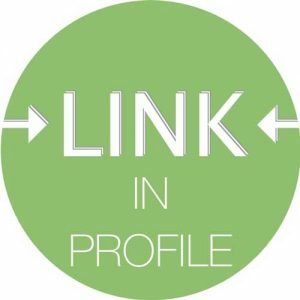 Link in Profile will create a clickable link for each Instagram post directly your audience to the exact web page you are looking for. It in fact has double my blog traffic and I now considered it a key player in growing my blog. Link in Profile offers a free trial period for you to try them out, you don’t even need to enter your credit card. Click here to give it a try!